Posted on February 7, 2016 February 9, 2016 in me, medical. The government has done its best to confuse the issue. Some of the more biased newspapers have followed suit. There are headlines claiming that junior doctors are greedy, that they’ve been offered a 11% pay rise, but they want more. The general theme of the spin has been simple: the junior doctors are looking out for themselves. It’s not about money. 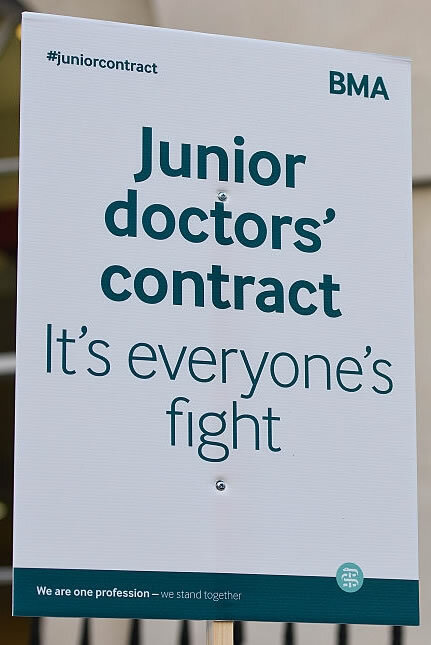 Sure, I think doctors would be right to be upset about the new contract, which – despite government claims of a “pay rise” offer – actually threatens huge cuts in pay. Mr Hunt has offered to increase the “base rate” of pay by 11%, but refuses to say what will happen to the “banding” that the vast majority of trainees also receive. It’s not about working long hours. Doctors are used to working long hours, we know its par for the course. We actually work more hours in our contracts than most professions, 48 hours rather than the more common 37.5 or 40. We understand that – despite the Government’s blindness to the fact – the NHS runs a 24 hour service, and we are all part of providing that. What scares us is the removal of current safeguards: at the moment, if a hospital breaks the rules and forces juniors to work extra hours, there is a significant financial penalty. This happens fairly often. In the new contract, the hospital may just be asked to enforce the limits, with no penalty. How would you feel if your employer decided to start ignoring the time limits on your contract? It’s not about weekends. Junior doctor already work weekends. I’m a GP trainee, but I’m still working 2 of the next 3 weekends. Do I get days off either side? Nope. I only have one day off in the next 18. Its going to be hard work! It’s about safety. 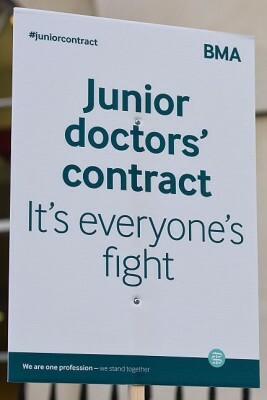 Junior doctors are on the front lines. We know how understaffed A&E is; we see how thin on the ground clinical cover is during hospital on calls, and how GP surgeries are fighting against a sinking ship of paperwork, appointments and shrinking finances. We know that patients are suffering, and, currently, junior doctors are working out of goodwill to hold up the creaking system. Junior doctors logged more than 10,000 hours of unpaid overtime during one 5 day period in October. Push the junior doctors harder? Goodwill gives way to exhaustion. Do you want a tired, unhappy doctor? It’s about making sure we have enough doctors. The government scares us. They don’t value junior doctors, and they don’t see that junior doctors become senior doctors. I posted previously about how general practice and psychiatry training schemes are running half empty. Five years ago, over 71% of newly qualified doctors joined training schemes. Last year? 52%. With record numbers of doctors leaving to work overseas, Jeremy Hunt is causing an exodus of professionals we desperately need. It’s about saving the NHS. The NHS is at risk of being terminally ill. It needs treatment, or its going to die. Trust us – doctors know about this sort of thing. I’ll be brutally honest here. If the NHS fails, I’ll be okay. Sounds cocky, but its probably true. In fact, I’ll probably earn more than I do currently. I’ll be able to afford health insurance premiums for my family, for myself. I’ll be fine. If the NHS fails, Jeremy Hunt will definitely be okay. More than okay. He will join a private healthcare company board, and earn vast bonuses in a climate of charging people for care they currently receive for free. If the NHS fails, there’s a big group of people that will not be okay. It’s not doctors. It’s not irritating politicians. It’s the poor. There will be hard working people at the bottom choosing between healthcare… and food. People getting cancer, then losing their homes. 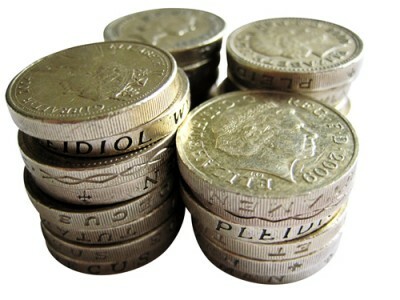 Patients deciding its better to live in depression than in debt. Children dying because they don’t have parents with enough money to afford treatment. And that’s not a United Kingdom I’m willing to accept. Posted in me, medical.Tagged #notsafenotfair, Jeremy Hunt really is a pillock, junior doctor strike, save the NHS.